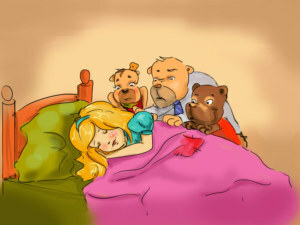 Once upon a time there lived a little girl whose name was Goldilocks. 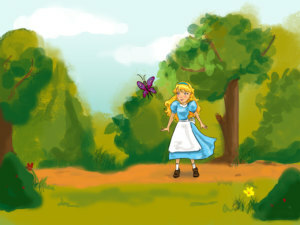 One day she decided to go for a walk in the forest. 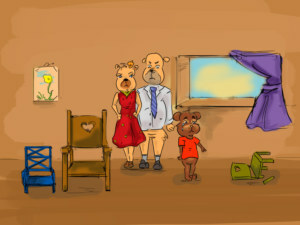 While out walking, she lost her way and found herself at the house of the three bears. 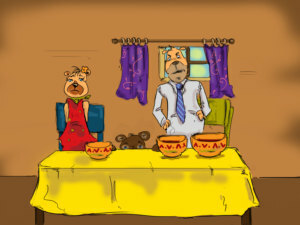 Inside the house she came across a kitchen table with three bowls of porridge laid out. 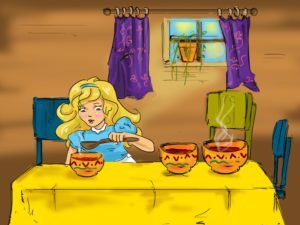 She tasted the porridge in the first bowl and found it was too hot. 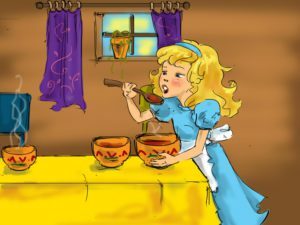 So she tried the porridge from the second bowl which was too cold. 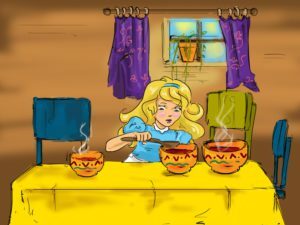 Finally she tried the third bowl and found that it was just right so she ate it all up. 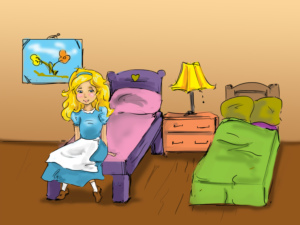 When she had finished the porridge Goldilocks felt tired and went to find somewhere to sit down. 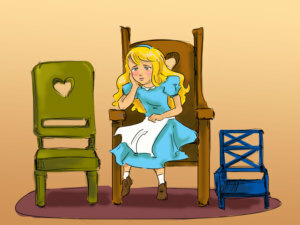 The first chair she found was too big, the second chair was still too big, but the third chair felt just right. 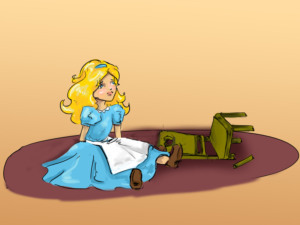 As she sat down the chair broke into many pieces. 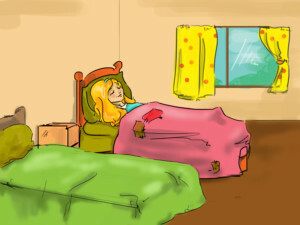 ...but the third bed was perfect and she fell into a deep sleep. 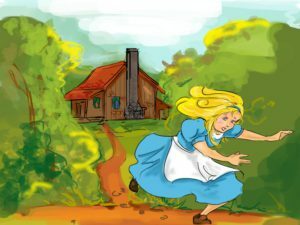 Goldilocks was woken up by their shouting and was so scared she jumped out of the bed and ran out of the open window back into the forest. 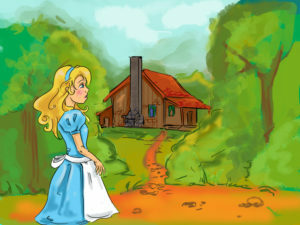 She ran home to her mother and vowed she would never again go for a walk in the forest alone.